Credo-Capital Production LLC has developed a new line of hygienic products NORMAL clinic®. 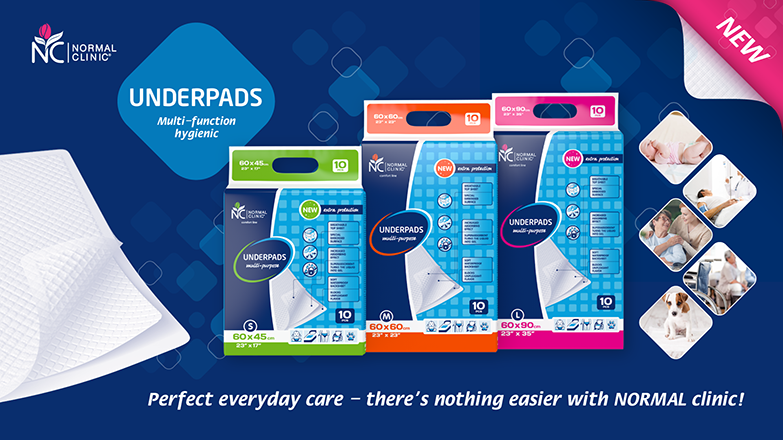 New multi-function hygienic underpads NORMAL clinic® contain superabsorbent polymer which transforms liquid into the gel and traps bad odours. The best solution for keeping a bed linen clean and dry while changing diapers to childs and adults with mild forms of urinary incontinence, for various kinds of hygienic and cosmetic procedures, for wheelchair use, and for pet care. Perfect everyday care- there’s nothing easier with NORMAL clinic®!